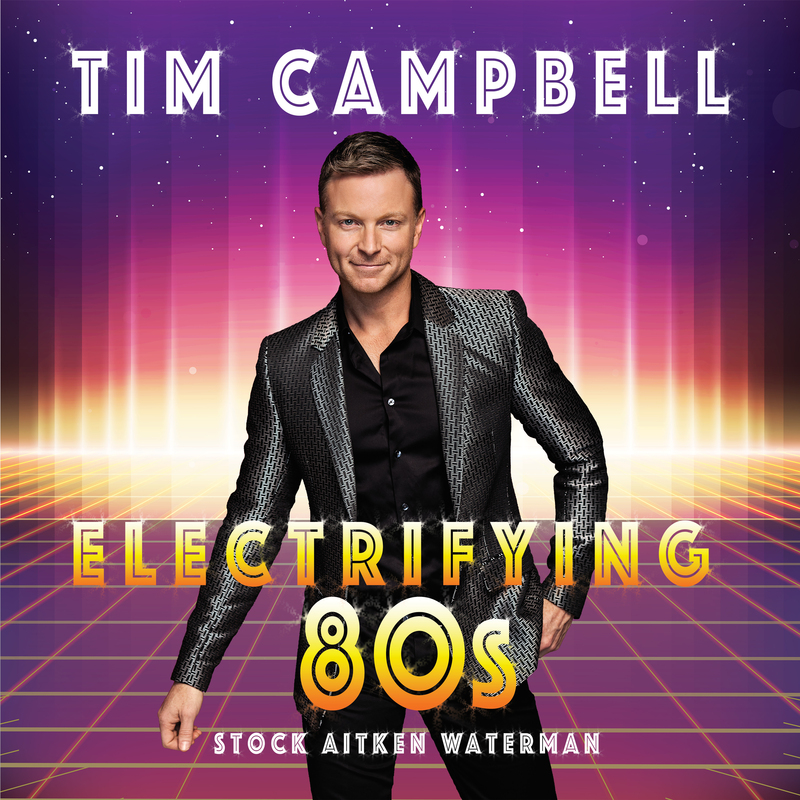 Aussie favourite Tim Campbell has confirmed that his Stock Aitken Waterman covers album ‘Electrifying ’80s’ will land next month. Yes, he’s never going to give you up, will have you spinning right ’round (like a record) and will never stop him from loving you (* the last one may NOT be included as part of the tracklist). But covers of tracks from the likes of Bananarama, Jason Donovan, Kylie Minogue, Divine and Donna Summer do feature on the new ten track release. It also features collaborations with a few of our country’s finest female vocalists. “I love that the ’80s is having a revival, well for me and many others, it never left us,” Tim enthuses. Yes, Tim’s dropping said album on his very own music label, Encore Records.